Flair has a calm and sweet disposition. Lovely top line on this filly and very pretty movement. 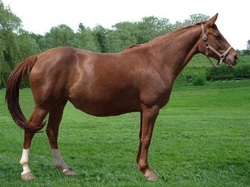 She will make a great show horse, nice quiet and sweet attitude. Cup class prospect for 2015, her sister qualified and placed well in 2013. She is a beautiful prospect for any discipline. 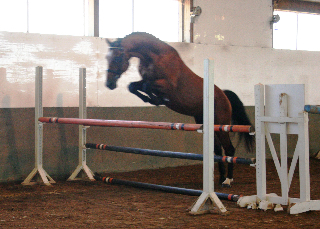 She has the movement for dressage, brave attitude and scope for eventing, or she would excel as a hunter/jumper. Flair is well handled, stands quietly on cross ties for grooming, and will be easy to start. She is up to date on vaccines, trims and deworming. Sold! Congratulations to Chloe, Sandy and Ryan on the purchase of this beautiful prospect. We are excited to hear how she does in her new career as an eventer! 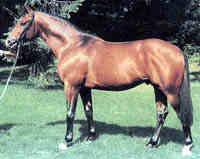 Landgraf I is considered by many warmblood breeders across the globe to be one of, if not, the stallion of the Century. Of all of the Ladykiller sons (36 approved), Landgraf was able to assert himself the best with over 50 approved sons and 92 State Premium mares. At this time, he is the most successful sire of show jumpers the world has seen with the highest progeny earnings in competition. Rio Grande (1986-2007) 17.1h Hanoverian has been dubbed a 'Performance Sire Extraordinaire'. He was the 2005 Leading Living Sire of Hunters as per USEF rankings (behind deceased Voltaire), and arguably the best hunter/jumper sire in Canadian history. 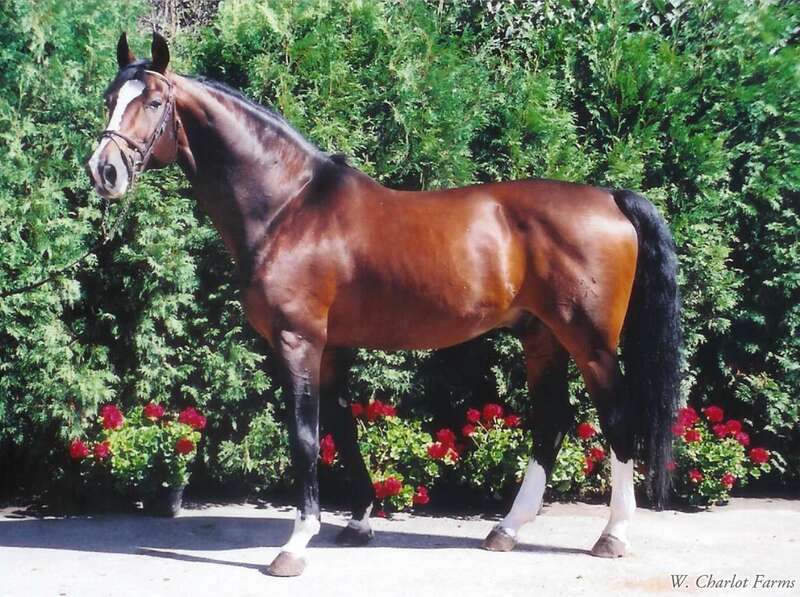 Rio Grande was a successful grand prix jumper himself, with numerous wins of several international show jumper classes, qualified for 1996 Olympics and was a member of the winning Canadian Nations Cup team numerous times, as well as winning his 1991 stallion performance test with a score of 135 points. Ibikus was renowned for passing on his amazing gaits and impeccable movements. Ibikus was four times winner of the German riding horse championship, and 1st at his stallion performance test. He was successful in dressage competitions up to the FEI level. 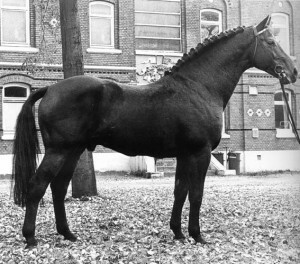 In 1976 Ibikus was sold to Denmark as an improver for the Danish warmblood and had a huge impact there. 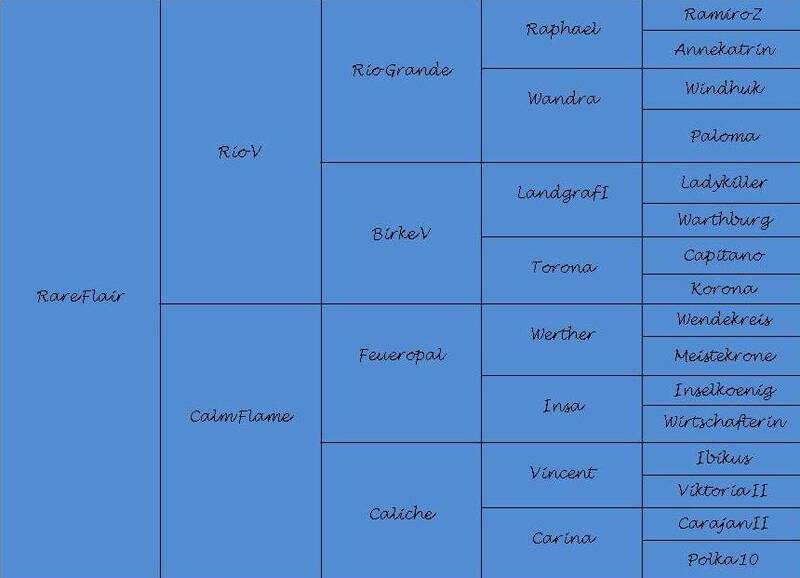 Ibikus is the sire of 12 approved sons. Known as a “marker” stallion, Ibikus genetic traits are responsible for the performance capabilities of sport horses all over Europe.